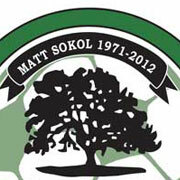 Thanks to father Nicholas and club member Rob Nied for planning “Know Your Numbers 4 Matt Sokol” as a memorial for Matt, who passed away last year while playing for the club’s adult team. On Sunday September 8th the American Heart Association will be hosting its annual Heart Walk, a fundraiser that includes a memorial service for loved ones lost and a health fair for those of us fortunate enough to still be living. There is a 1 mile walk in the morning at 9am. Organizers would like to start a team called “Know Your Numbers 4 Matt Sokol.” It’s free to join, but donations and sponsorships are welcome. We’ll walk as a team and those of us without easy access to health care can take advantage of the health fair to get their blood pressure and cholesterol checked. Invite your friends and mark your calendars. RSVP on Facebook. In the afternoon, come watch the Black Oaks Adult team, who are scheduled to play Inter at 3pm in the Masters League at For Pete’s Sake Field.